Still waiting to become epic. Ever notice that the highest rated cigars are usually aged Cubans? 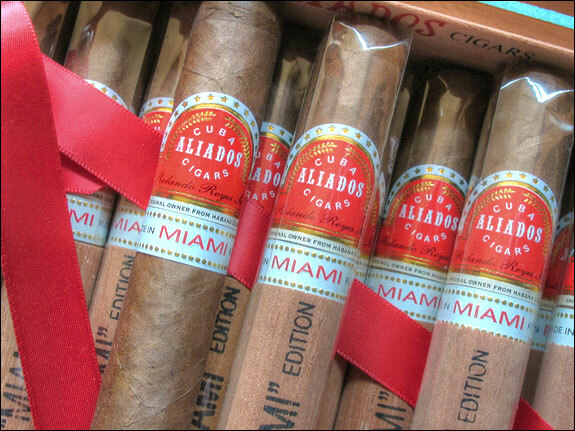 In Cigar Aficionado, these cigars are listed in the esteemed Connoisseur’s Corner. 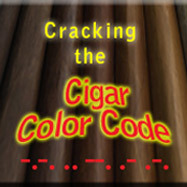 There, it seems, the oldest cigars get the highest scores. For example, in the December 2011 issue, a 1956 H. Upmann no. 120 hit a perfect 100. Coming in second at 98, was a 1959 Montecristo no. 1, followed by a 1998 Trinidad Fundadore with a 96. At face value, it would seem that the older a cigar got, the better it would taste. This assumption is supported by a ton of Internet chatter stating as much. We read about how a cigar “should age well”, or a box should be “put away for aging”. As a young (young-ER) cigar smoker, I was eager to participate in the aficionado lifestyle: collecting cigars and aging them to perfection. I wanted to get some of that connoisseur action. The following is what I’ve learned about cigar aging; first hand, and from others who have smoked aged cigars on a regular basis. It’s a story of both disappointment and exhilaration. Why age a cigar at all? For a cigar to be good, its tobaccos must be well fermented. This takes time, and is done in stages. The best cigar makers carefully monitor each stage and know when the tobacco is at its peak of flavor. It has been my experience that the best cigars are often made by smaller, sometimes family owned, cigar companies. These boutique manufacturers are personally invested in the quality of their cigars, and their products reflect a careful attention to detail. These cigars are always well fermented, and as such, can be enjoyed immediately upon purchase. But if a cigar is “under-fermented”, it will taste sour and have a slight ammonia odor. By putting these cigars away, a slow fermentation process continues inside the cigar box. How long a cigar needs to “sit”, will vary depending on the cigar. In this day and age, most non-Cuban cigars (NC) are fully fermented when rolled. They require no additional storage to reach their peak flavor. But Cuban cigars (CC) are a different story. The current state of the Cuban cigar industry is such that demand has outstripped their supply of well-fermented tobacco. Plus unskilled rollers are used to meet the worldwide thirst for CCs. To my taste, it seems that the higher end CC brands get the best stuff, rolled by the best rollers, while the less expensive brands suffer. 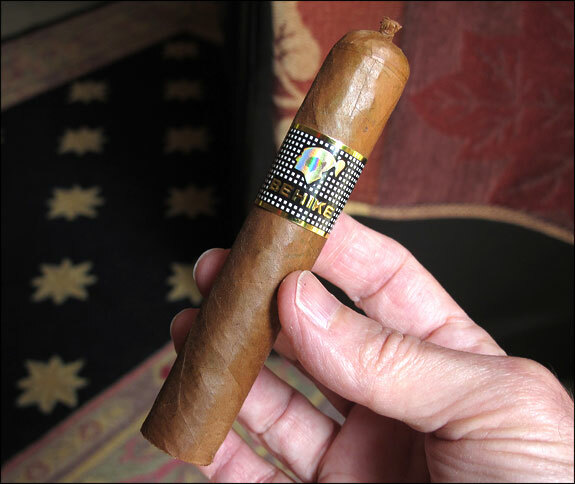 Smoke a Cohiba Behike (at $50/stick) and you will taste beautifully fermented tobacco at its peak. Compare that to other, cheaper brands, and you will experience a vast difference in quality. Construction issues aside, many CCs need extra time to reach their flavor potential. Some experts say two years is the earliest a CC will reach its peak, while others say five or more years. Taking into account the Connoisseur’s Corner, it would seem that that longer a CC sits, the better it will taste. Tobacco fermenting in a pilone. In an effort to fulfill my aspirations of becoming a true aficionado, I started collecting and aging cigars in 2005. Reading everything I could find on the subject, I embarked on a quest for knowledge. In the last ten years, I’ve accrued of lot of knowledge…and cigars. Reading Cigar Aficionado has served me well. It is a tremendous source of qualified opinions, and insider information. Also, my pilgrimages to Esteli, Nicaragua and Santiago DR, have enhanced my love and appreciation for the cigar industry. With more knowledge came an increased sense of urgency. I wanted to try EVERY new cigar that had a 90+ rating. Of course that was impossible, so I carefully chose which cigars to buy. Over the years I’ve amassed a nice collection. And, over time, my collection would age and get better with each passing year. Or so I thought. Okay, I bought some cigars, now what? When we first buy a cigar, even just a few weeks of aging seems to enhance its flavor. This is particularly true with sticks bought from the Internet. Perhaps the shock of transit somehow disturbs the tobacco. Fluctuations, in temperature, altitude, and humidity during shipping may be a factor. After the initial few weeks of storage, there seemed to be little change in quality within the first year. So I figured that to really get that “aged flavor”, more time was needed. Putting boxes away for years was the only way to see, first hand, what this aging thing was all about. Cigar collecting is challenging. To do it right, many factors must be addressed: perfect temperature and humidity are crucial and hard to maintain; storage space can be challenging; building a walk-in humidor is costly; mold needs to be avoided; and the dreaded tobacco beetle can show up unannounced. To keep things from getting out of hand, daily inspections are recommended. Through the years, I have carefully stood guard against all these cigar adversaries. The first action that affects cigar flavor is the removal of the cellophane sleeve. Left on, the cello gives a cigar a factory-fresh flavor profile. This is when a cigar will have maximum complexity. Stored in cello, cigar flavors are easier to detect, and seem to be almost in relief. Within hours after removing the cello, a cigar will “air-out”, and lose that factory aroma. Some prefer to do this while others like the heightened flavors of a protected cigar. Because cellophane keeps a cigar “fresh”, it significantly slows the aging process. Some smokers remove the cello immediately upon purchase. By doing so, they try to accelerate aging. But is this a good thing? Storing in cello slows the aging process. After visiting a number of NC cigar factories, I’ve grown to love the “factory fresh” cigar flavor. These days, the best blenders are creating cigars that are meant for immediate consumption. They use the best tobaccos at the peak of fermentation. The question is would additional aging make these sticks better? What I’ve found is that a great cigar tastes best a few days after the cello is removed. This rounds-out the flavors and makes the blend taste more “homogenized”. It’s like a tomato sauce that simmers on the stove. At first the flavors are distinct and separate. But after a few hours the ingredients blend in a more harmonious way. But, like tomato “gravy” (as Tony Soprano called it), simmering, or aging, too long can make a blend taste flat. Indeed, many of my cigars have now started to lose flavor over time. But this is a generalization and not always true. Cigar aging is not an exact science. Some ready-to-smoke cigars do improve over time. But at some point, a cigar will peak in flavor. After that it’s a matter of diminishing returns. Because of this, it’s good practice to sample cigars periodically during the aging process. At some point, flavor, balance, and smoothness will merge, giving a cigar a special “je ne sais quoi”. It is then time to enjoy the rest of the box. So now, nearly a decade into cigar collecting, I have a lot of cigars. Many are getting old enough to be considered “aged”. My oldest cigars are, indeed, going through a metamorphosis. Some of my NCs have lost flavor, while others have achieved a softer, richer quality. My collection of CCs are another story. 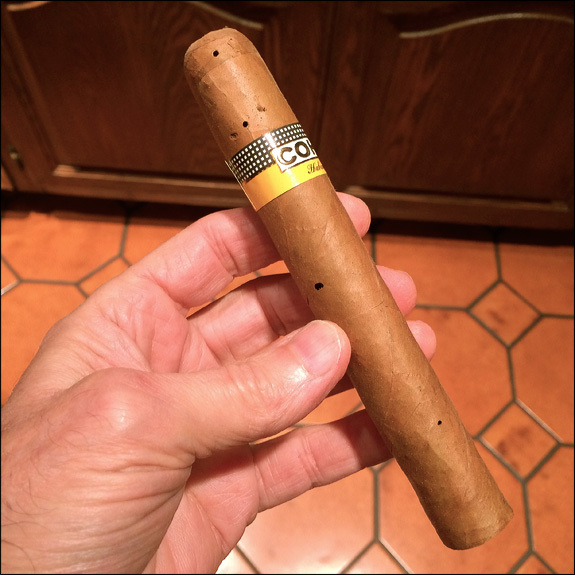 Just this weekend I sampled a Cohiba Siglo IV that had been aging for about five years. Upon lighting I could tell immediately that this cigar was exceptional. The more I smoked, the better it tasted, and when done, I had a feeling of having experienced a truly great cigar. Until recently, I thought these cigars were simply over rated, but I now can see that CC’s absolutely need time to reach their potential. So, it would seem that, indeed, at least five years is what a CC needs to reach greatness. Now that this box has hit its prime, I will continue to enjoy them until, regrettably, I smoke my last stick. But this hasn’t been the case for all my CCs. Many of them started out rough, and five years into aging, don’t taste much better. It’s simply impossible to tell which cigars will truly age well. Sometimes I wish I had never invested the time and money to amass a cigar collection. But when I smoke a great cigar that only age can create, it all seems worth the effort. Aging the Behike is unnecessary. Leave the cello on. I buy more cigars than I smoke, and don’t want them peaking before I get to them. Leaving the cello on will slow down the aging process. For me that’s a good thing. I will, however, keep a few “naked” in the box for current consumption. Boxes that arrive sans cello will be sampled more often to gauge their progress. I prefer new NC cigars over new CCs. The great cigar blenders of today are making some of the best cigars of all time. 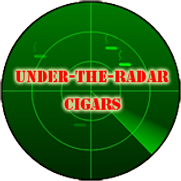 They blend the richest tobaccos to create complex flavor profiles of unprecedented quality. For these cigars, a few weeks, or months, out of the cello is all that’s needed to round out any rough edges. Watch the temperature! Every summer, when the temperature gets above 76 degrees, I lose hundreds of dollars worth of cigars. The tobacco beetles come alive when it is warm, and many CCs are poorly fumigated. That leaves them vulnerable to ruin. The Connoisseur’s Corner is a myth. I recently had a discussion about cigar aging with someone who has sampled many old cigars from European collectors. He said that these cigars are fun to smoke as a novelty. An old cigar conjures up images of bygone years, and its rarity makes it a special event. But flavor-wise, he said the cigars are very bland. After they are finished, he then needs to smoke something “really good”. The ravages of the tobacco beetle. So here I am, with a closet full of cigars, all in various stages of aging. I continue to sample my myriad boxes, and make mental notes on how they are doing. But the cigars I most often reach for, are the ones I enjoyed when new, and then got a little better with the cello off. As far as being a true Connoisseur, I’m still waiting for my collection of CCs to get epic. Let’s see how they do over the next ten years. Outstanding. Glad to see you back. I smoked a pair of CCs gifted my by a Canadian friend. Not the least impressed. Smoked a pair of machine rolled perfectos rolled in 1941. Inferior to similar perfectos from the same manufacturer made this year. On the other hand, those same perfectos made this year do remarkably improve with two or three months age. Usually, when buying premium cigars I look for clearance boxes that have already been aged a couple years among the B&M’s stock. I know when I roll a cigar, six months make a vast diff, not only in how smooth they smoke, but also in how tight and smooth the wrapper is. Good to see Robusto Joe back at it. Thanks webmost. It’s great to be back! And thanks for your comment! I agree. I’ve only aged a couple of years, but if anything, I prefer the newer cigars more. I think 3-6 months aging for me suits my needs. Noobie enthusiast , just got a box of 25 single 2 , how should I handle this box ? I want it to age a bit , do I open the box and throw them cigars in my humidor ? Or should I leave them in there and try to store the box somewhere humid downstairs ? You are in a situation that all of us have been through when we purchase our first box of cigars. Yes, you can empty the box into your humidor, OR, seal the box in a zip lock bag, put that bag containing the box, inside another zip lock bag along with a folded, moistened paper towel. That will keep your Siglo 2s happy. You still watching this RobustoJoe? Nice article. Only thing I found to disagree with is the part about fermentation continuing while the cigar sits in your humidor. This can’t quite be right. The chemical changes in cigar fermentation are the result of heat, pressure, and the relative absence of oxygen in the interior of the pilons. None of these conditions obtains once a cigar is rolled and stored properly for smoking. I think something different is going on as cigars age. You make a good point, Mathew. The pilon sets up the perfect environment to facilitate fermentation. But that process can take place under less ideal conditions, albeit at a much slower rate. I know this because I’ve had apple cider ferment in my refrigerator. Even my pickles get carbonated if left too long in that cold environment. So I think the chemical change that occurs within cigars, while aging, is a form of fermentation. But I’m not a bio-chemist. Your points are well taken. If you can identify the chemical change that makes cigar aging possible, please post your results. I’d gladly change the wording in this article to reflect your findings. Hi colleagues; my name is Amaury Borges Miranda. I am a Cuban biochemist with 13 years of experience inside the cigar tobacco industry in Cuba. My research interest is the applications of sensory and consumer science to product development. The chemical changes that take place in the cigar aging process can be considered as a type of fermentation at a low rate like Robusto Joe said. As Mathew said, the tobacco leaves have a small moisture content; so, you can expect chemical changes of other type than in the case of liquids, because the molecules have less mobility. The chemical changes that occur in the cigar case are driven by the metabolism of the microorganisms that live in the tobacco (bacteria, fungus and yeast). The most important group of them are those who have affinity for nicotine and other alkaloids, mainly bacteria. In other words, nicotine is their food. There are several groups that have been studied by the industry with the aim of accelerate the fermentation process; so, it would warrant a supply of well fermented leaves to the industrial production process. Funguses are not tolerant to the high temperatures of the “pilones”, but their reproductive structures remain alive and can get active in later stages of the processing of the raw matter, and show their catalytic potential. Bacteria are more tolerant to high temperatures. These microorganisms are responsible for the fermentation at a lower rate that continues taking place in the raw matter and in the cigar after the fermentation occurring in the “pilon”. 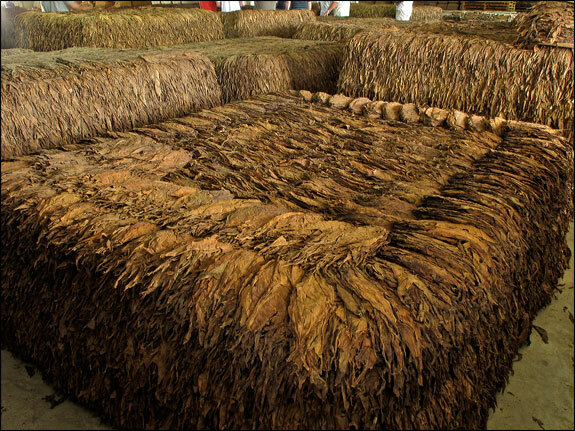 It is known that bacteria living inside the tobacco batch are capable of inducing the synthesis of enzymes. A group of them are released to the outside of the cell, and makes the substrates more available. The rest make their work inside the unicellular organism of the bacteria and finish nicotine degradation. All these enzymes are inducible regarding the presence of the substrates, namely the chemical components of the tobacco. Nowadays, it is argued that the processes of fermentation and aging of the raw matter and the cigar should be explained by a combination of pure chemical changes and changes produced by the battery of enzymes provided by the bacteria living in the tobacco batch. I disagree with most of this…the start being that since tobacco in Nc cigars are aged there is no need to age?? It’s as stated the marriage of the oils that’s the point. I don’t care how long the tobacco was aged I am more concerned about when it was rolled. 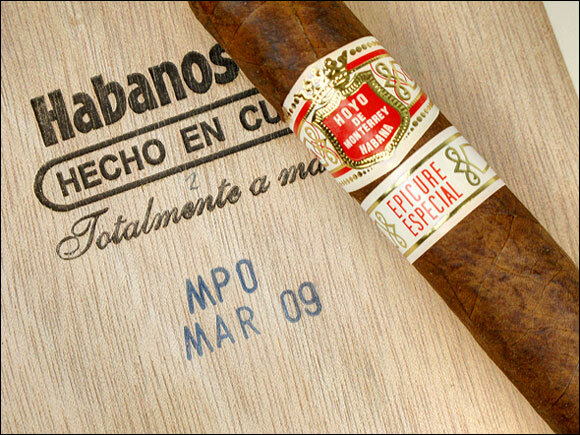 Most Cuban filler is aged two to three years before being rolled…that says a lot compared to today’s market of nc’s. Some are not even aged that long. Yes I do age cc’s but that’s because I age everything! Where it’s from and how long the tobacco has aged for prior to being rolled is not a concern of mine. It’s when the oils wil meld and even plume that I consider for the most part. LMC, have you ever taken a tour of a cigar factory? If so, then you know that cigars are aged in a “cold room” for at least six months before boxing. That’s to overcome the “sick period” and to allow the tobaccos to meld. I can assure you, after visiting many cigar factories in Nicaragua and the Dominican Republic, all cigar factories age their tobaccos many years before rolling. I know from years of experience that fermentation is the key to great cigar tobacco flavor. If it’s not done before rolling, then you are stuck needing to age for a very long time. Even then, there is no guarantee a cigar will ever taste good. Also,as Amoury states above, cigar aging improves cigar flavor because fermentation continues while the cigars rest. Very good info here. I agree with what Robustjoe has written, and so thankful for the info provided by Amaury Borges Miranda because it validates some of what I have learned, although I do not have his credentials. I grow tobacco. I plant it, grow it, cure it, ferment it, roll it, and finally smoke it. My understanding of all of the processes I undertake has been basic, and simple. I understood the enzymes did most of the work in the fermentation process, but know I understand the process is far more complex. Thanks for the lesson. I also purchase ready made cigars. I know that aging them leads to a much better smoke, regardless whether or not they consist of fermented and well aged tobacco leaf. This week I smoked a Plasencia, La Flor de Maria Mancini, Magic Mountain, Robusto that had been hidden in the recesses of one of my humidors for 17+ years. WOW!!! That was a fabulous smoke!!! Very mellow-bodied, rich tobacco taste, sweet on my tongue, and I smoked it to a little, itty, bitty nub! I also inhale all my cigar smoke, and this one gave me a euphoric nicotine kick! The sort of kick where you know it would not be a good idea to operate heavy machinery during or soon after smoking it. Next, with regard to fermenting tobacco: there are some shortcuts that can be taken and still achieve some very good results. Since I do not know how open others are to these ideas it is probably best to simply say that tobacco leaf, after its cured, can be easily fermented in 30 days. Of course if one desires the maduro taste, fermenting does take a little longer, about another 30 days. Plus, the fermented tobacco needs a little resting time before its ready to smoke, and of course extra aging is always advisable. Blending tobacco leaf to achieve fabulous results is a different chapter in the story. Very complex.